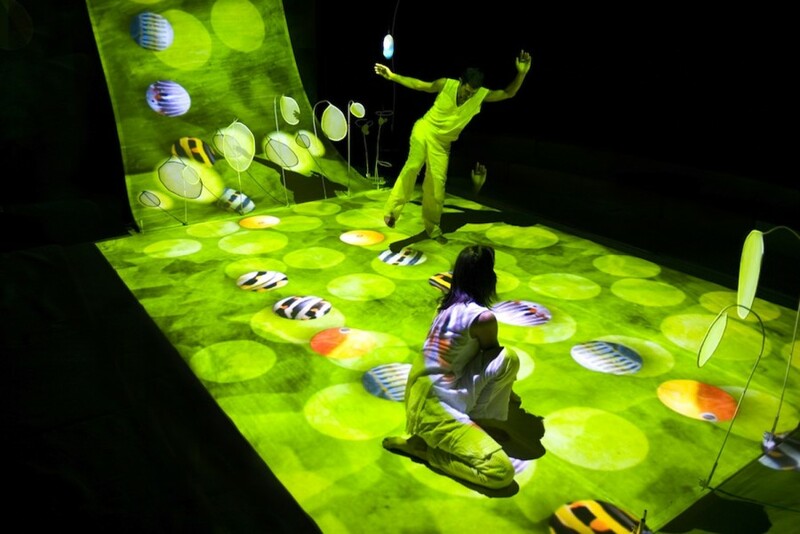 Created for those aged three and above, Butterflies is one of a series of works made for Company TPO’s Children’s Cheering Carpet, a touch-sensitive carpet that conjures images and sound to build a virtual landscape for performers and audience. TPO have developed their technology so that motion capture sensors enable images to be triggered by breath and light. 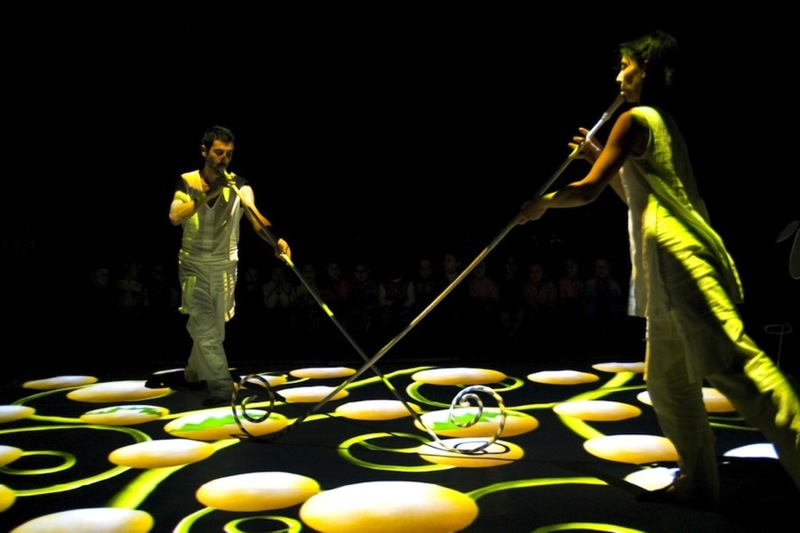 Audiences can virtually paint with their hands, compose lullabies with their feet, chase caterpillars on all fours, and immerse themselves in a theatrical experience for all the senses. 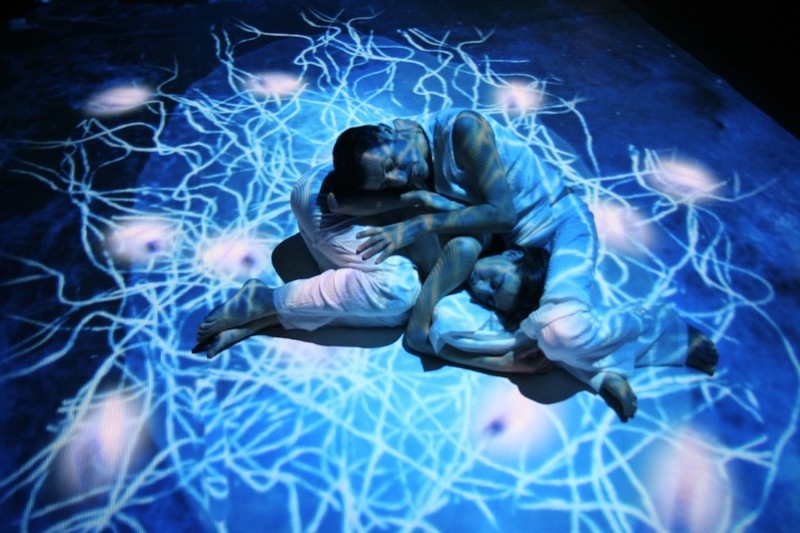 The company also offers an installation where children, led by two dancers, can take part in an animation game, using the interactive stage space, complete with music and images. 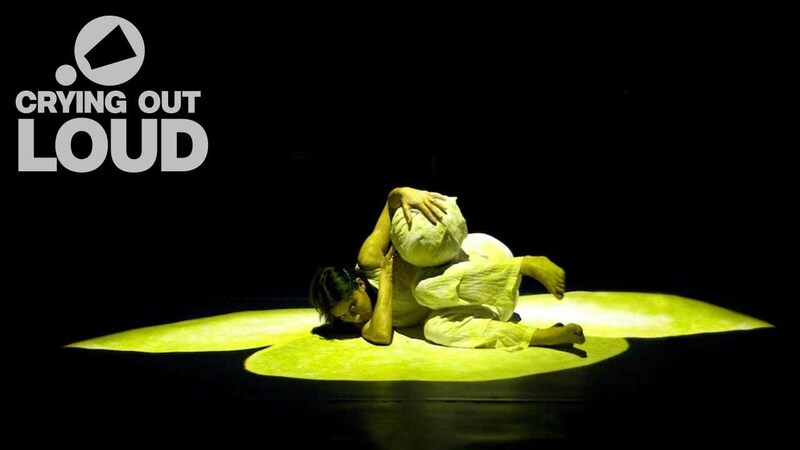 Butterflies toured the UK in May, June and July 2009 at these venues Purcell Room Southbank Centre, University of Hertfordshire, the Civic in Barnsley, Exeter Phoenix, the egg Theatre Royal Bath, Scotland’s macrobert Arts Centre and Eden Court and London’s Chat’s Palace.